Fast and powerful to get the job done on time, every time. The Grasshopper 400D 1.3L zero-turn lawn mower features the legendary power of a Kubota 3-cylinder MaxTorque™ Clean Diesel engine that delivers best-in-class torque and fuel economy. 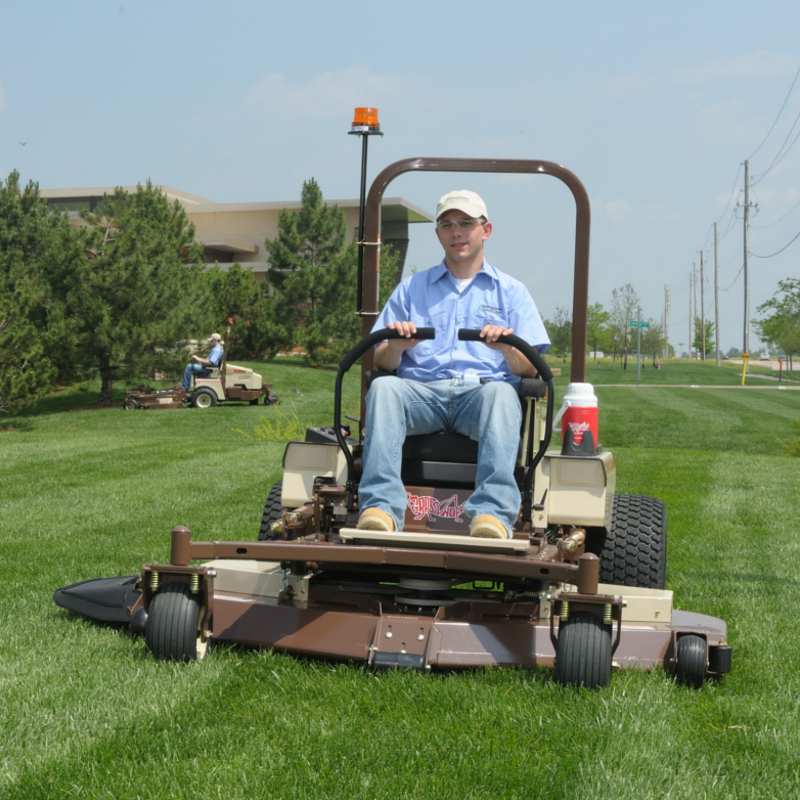 Commercial landscapes depend on Grasshopper mowers for their comfort, performance, productivity, quality and dependability. 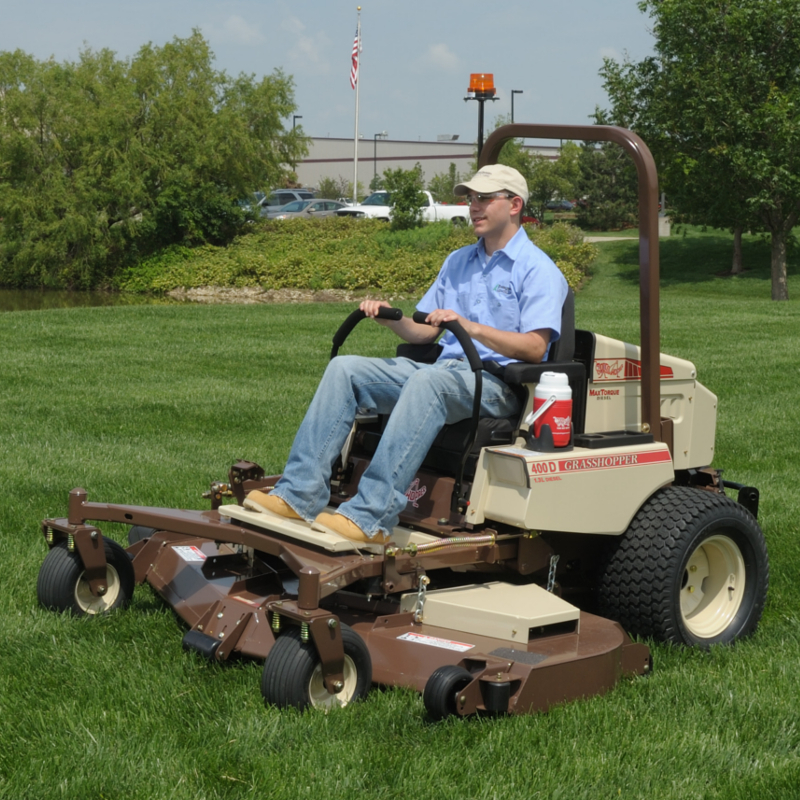 Dedicated 48-inch and larger rear discharge decks throw clippings out back for a smooth cut and no windrowing. Console-mounted Instruments Low engine oil pressure, alternator, temperature and parking brake warning lights, engine temperature and volt gauges, combination electronic fuel gauge/hour meter, glow plug, ignition and push/pull PTO switches. Low engine oil pressure, alternator, temperature and parking brake warning lights, engine temperature and volt gauges, combination electronic fuel gauge/hour meter, glow plug, ignition and push/pull PTO switches. Transmission Type Design-matched G2 hydrostatic system with auxiliary cooling fans, HydroGear variable displacement 21 cc piston-type pumps and high-torque Parker wheel motors. Design-matched G2 hydrostatic system with auxiliary cooling fans, HydroGear variable displacement 21 cc piston-type pumps and high-torque Parker wheel motors. Steering One- or two-hand operation with adjustable HydraSmooth™ dual levers that automatically return to neutral from either forward or reverse position. One- or two-hand operation with adjustable HydraSmooth™ dual levers that automatically return to neutral from either forward or reverse position.